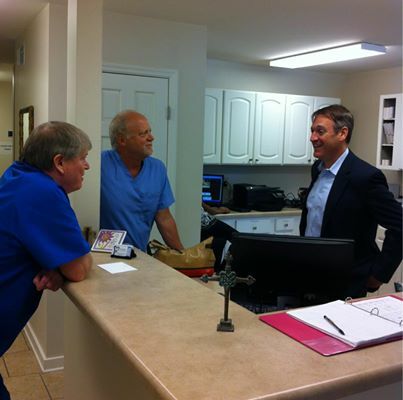 This page provides you with information about our clinic. 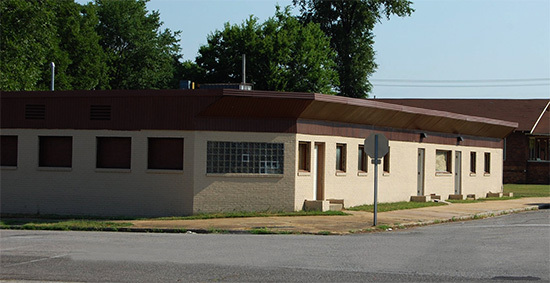 We are located within the Foundry Rescue Mission and Recovery Center complex near downtown Bessemer. Below you can find a description of our office location, including a map and directions, hours and appointment scheduling. We are CLOSED the 4th Tuesday each month. Directions: From I-20/59 take exit 112. Go south towards Bessemer. Travel about 1 mile; cross the Bessemer Superhighway (highway 78). Go about 3 blocks; turn right onto 6th Ave North. We are on the right. From I-459 take the exit for Highway 150 towards Bessemer (west). Travel about 10 miles (pass Shades Crest Rd., Ross Bridge, etc). As you come into Bessemer, go across the train tracks. Travel about 5 more blocks, and turn right onto 6th Ave North. Go three blocks to 17th Street. We are on the corner across from the old St Aloysius School. Corner of 6th Ave North and 17th Street. From Lakeshore/Wildwood Avenue in Homewood, travel west on Lakeshore until the end of the road (about 6 miles). Turn right onto Highway 150. Travel about 2 miles into Bessemer. As you come into Bessemer, go across the train tracks. Travel about 5 more blocks, and turn right onto 6th Ave North. Go three blocks to 17th Street. We are on the corner across from the old St Aloysius School. Corner of 6th Ave North and 17th Street.